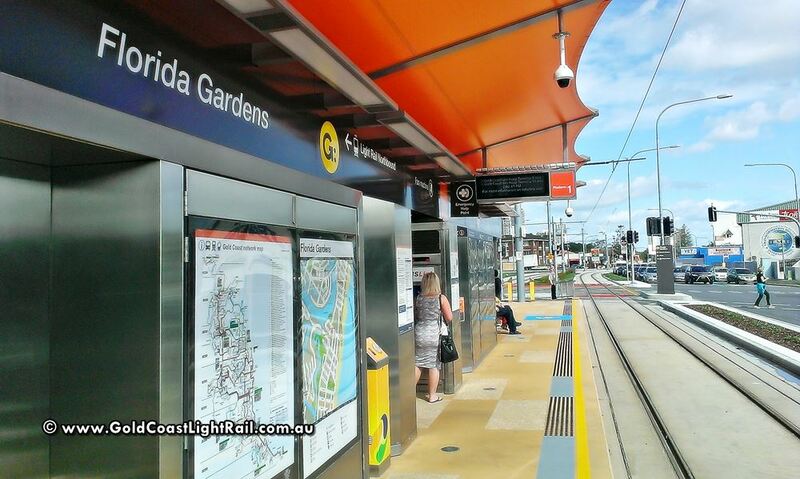 The Gold Coast Light Rail is Queensland’s first light rail system, ushering in a new age of efficient, convenient and environmentally-friendly public transport in one of Australia’s most rapidly growing cities. After more than fifteen years of development since it was first proposed in 1998, construction of Stage One & Stage Two of light rail is now complete, with services from Helensvale to Broadbeach scheduled to commence on 17 December 2017. This network is being developed and operated by GoldlinQ, the Operator Franchisee selected by the Queensland government in 2011. The system will run along its own dedicated corridor, greatly reducing its interaction with other road traffic, increasing both safety and speed for shorter journey times. Plans for expanding the network beyond this initial stage are in place for the future, moving towards the 2018 Commonwealth Games, which will be held on the Gold Coast. Factors contributing to the need for a Gold Coast Light Rail service include steadily increasing traffic congestion from a growing population; increased emissions; the need for a more efficient use of road space as no new major roads are being built; the 20,000 student population attending Griffith University; the high staff and visitor numbers created by the new Gold Coast University Hospital; and pre-planning for the huge strain that accommodating the Commonwealth Games will put on the city’s resources in 2018. Light rail for the Gold Coast will mean a fully integrated public transport network across the city, providing affordable and reliable convenience for both locals and the tourist trade, increasing visitor numbers and attracting investment while reducing traffic congestion. A huge part of this will come from the 2018 Commonwealth Games, with the light rail system directly servicing some major Games venues, such as the Gold Coast Aquatic Centre and the Gold Coast Convention and Exhibition Centre, along with the primary accommodation locations and proposed Athletes Village. 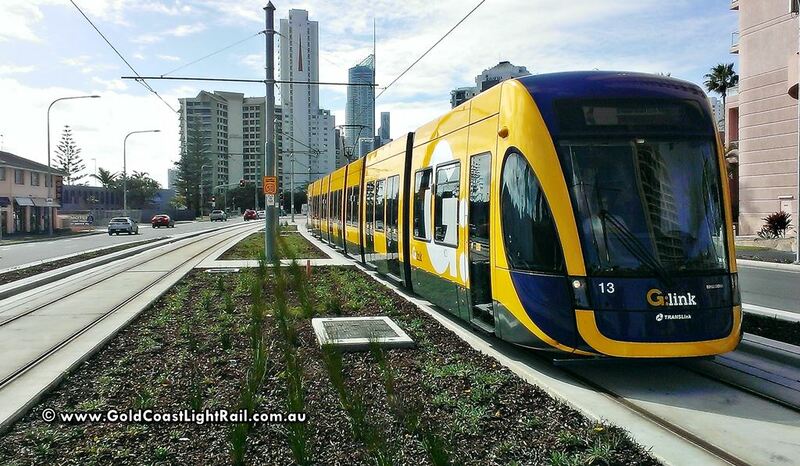 From an environmental standpoint, with the current growing concern and awareness of carbon emissions in Australia, the Gold Coast Light Rail system provides a greener alternative, as it both runs on electricity (producing almost no emissions) as well as reducing the number of cars on the road. In fact, it is predicted that the network will reduce the Gold Coast’s local greenhouse gas emissions by 114,000 tonnes over its first ten years of operation, and reduce the number of private vehicle trips (many of which serve only the driver and no passengers) by up to ten percent. 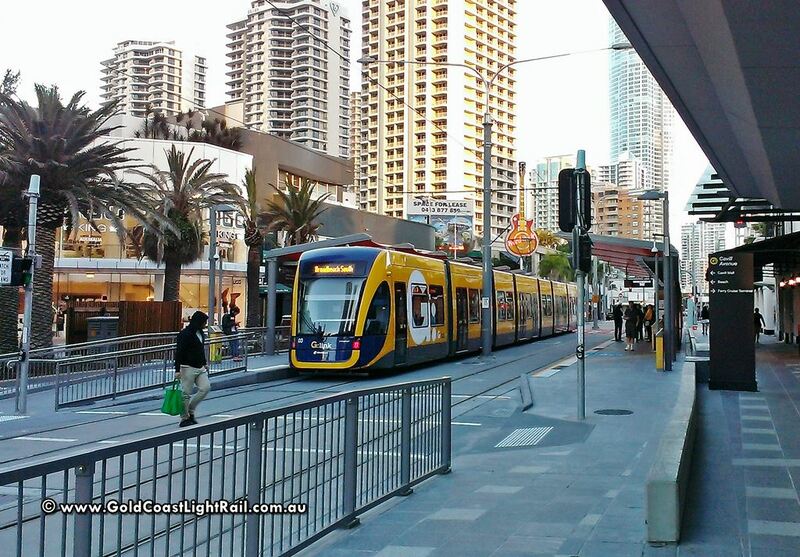 From an economic standpoint, the benefits of a light rail system for the Gold Coast beyond facilitating the needs of Commonwealth Games-related business, revitalising the city and attracting investment, are that the construction and operation of the service itself generates approximately 6,300 direct and indirect jobs. The trams that will be travelling on the Gold Coast Light Rail network will be supplied by Bombardier Transportation and are a new fleet of fourteen Bombardier Flexity 2 trams, specifically designed for a Gold Coast lifestyle. This includes air conditioning throughout, spaces for wheelchairs, prams, and surfboards, as well as information displays for passengers about the route and upcoming stops. Each tram is designed to accommodate up to 309 passengers, with 80 seated and 229 standing. The stations serving the light rail system will all provide shelter and seating, passenger information displays, maps, ticket machines, help buttons to connect passengers to control room staff, and CCTV surveillance.